It’s been a while since I’ve had any time to sit down and write about all the adventures so far this season. 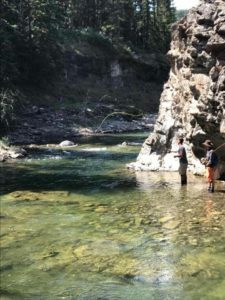 Running a fly-fishing blog is great in concept; until you realize you can’t take your laptop out fishing, and then inevitably one must choose between sitting around writing about fly-fishing and actually fly-fishing. The later always seems to win that standoff. But, at least for now, I’ve had my fair share of good fishing and am contented enough to take an afternoon off and share some of this years trips and talk about the great conditions we have in Alberta and BC right now. 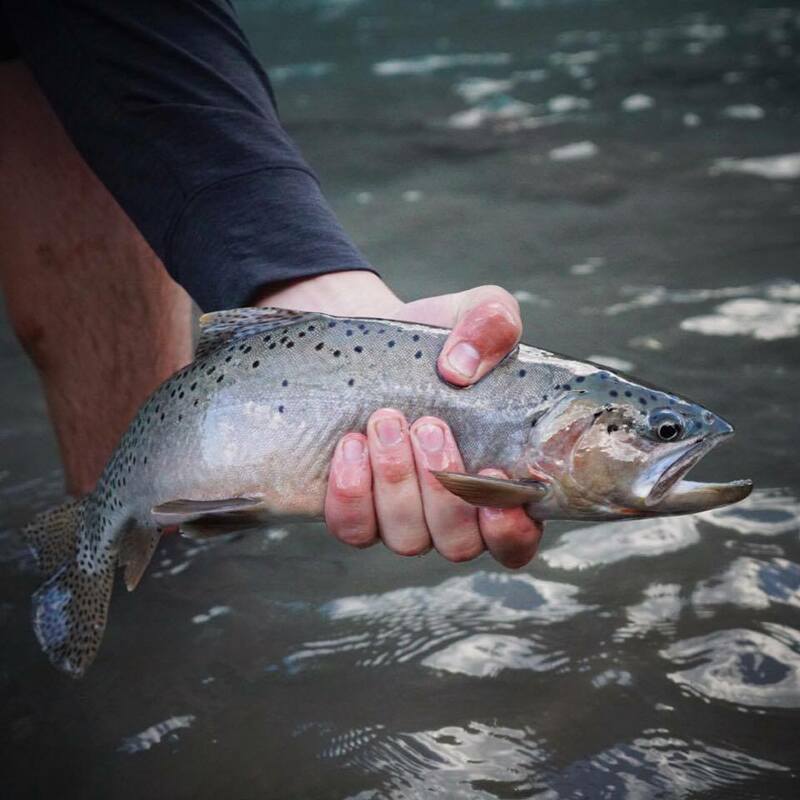 Since things opened up, me and my cousin Garret have been lucky enough to get a few trips into the South Ram and North Ram, some time in the Spring Creeks of Central AB, and most recently down to the Oldman River. I work on the Panther River and have had the pleasure of exploring the many creeks and rivers of the Upper Red Deer this season. All in all, fishing everywhere has been excellent and should continue to be excellent as the dry fly parade is now in full swing. 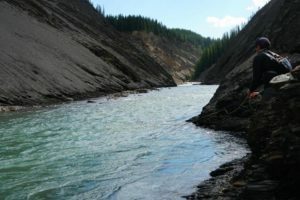 Oddly enough, my recollections of this seasons dry fly parade begins in those waters of the Upper Red Deer, where most of the good fishing is for Bull Trout. 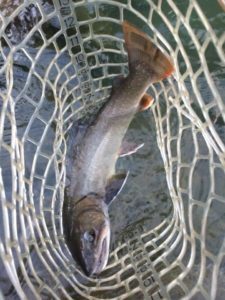 I don’t know what the hell is going on, but the Bull Trout in these small creeks (and even the main stem of the panther at times) just can’t seem to pass up a big dry-fly. I spent many week nights this past month hammering bulls, pool after pool, on a big stimulator pattern. 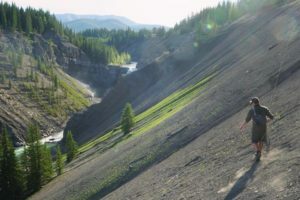 This luck actually continued in the Highwood basin just a couple days ago. Some of the Nice Bulls caught on dry Flies this year. So far, almost all the waters I’ve explored have fair to good fishing, primarily for bulls, but with smaller cutties, brookies, and browns mixed in. It’s a great area, and gets far less pressure than it’s southern neighbours. The throngs of anglers we ran into this weekend on the Oldman took me by suprise after the solitude I unfailingly get when I’m on the Panther and area. As always, the Ram River was an absolute treat. 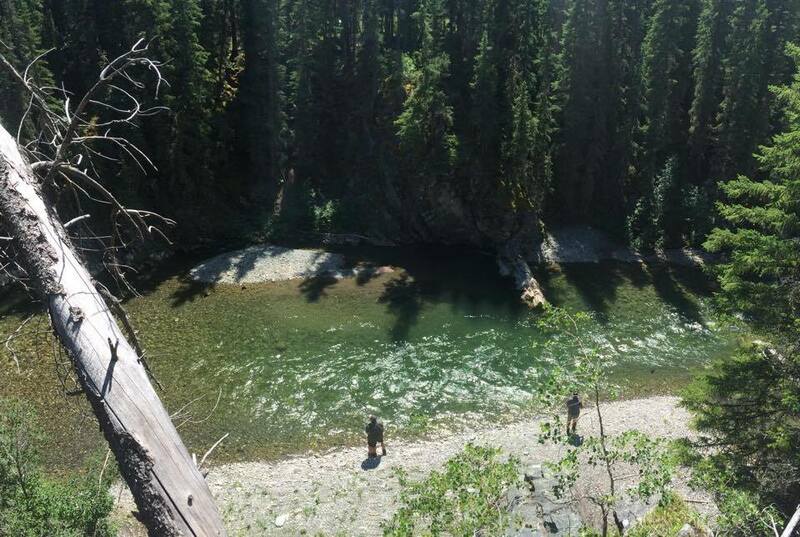 We camped out for 2 nights at Ram Falls, and got 3 great days of fishing. 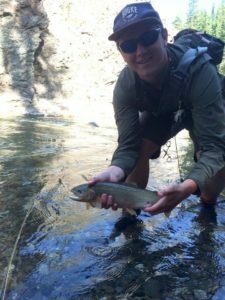 The South Ram was high and flowing fast, but we were still able to get lots of Cuttys on the dry fly. 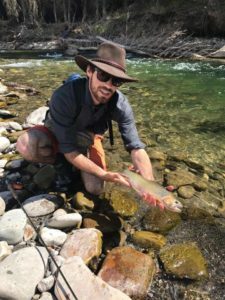 Like usual, we had a mad scramble down the canyon followed by the obligatory ‘who can catch the first fish’ race; which Garret won in short order, hooking into a Cutty in his first few casts. I quickly followed suit, and we were off and running. Unfortunately, the North Ram did not deliver as the South Ram did. I guess all the speculation about these finicky fish ‘pressing the off button’ is true; we fished on a Monday, and didn’t even see a single sign of a fish. We fished dries, deep nymphs, and streamers. Nothing. Not even a single rise. Very disapointing given the beautiful stretch of River we had hiked into. We continued on this hopeless misery until mid-afternoon, when we said screw it and went back to the South Ram where we proceeded to hammer Cuttys all night. On the way back, we stopped at Fallentimber Creek for some Browns, and caught some great fish to round it all out. Last weekend, we headed down to the Oldman to see how our forgotten favourite was doing. With us was a friend of Garrets, Luka, who is just learning to fly-fish. This time, I won the first fish race, and Garret followed up minutes after. 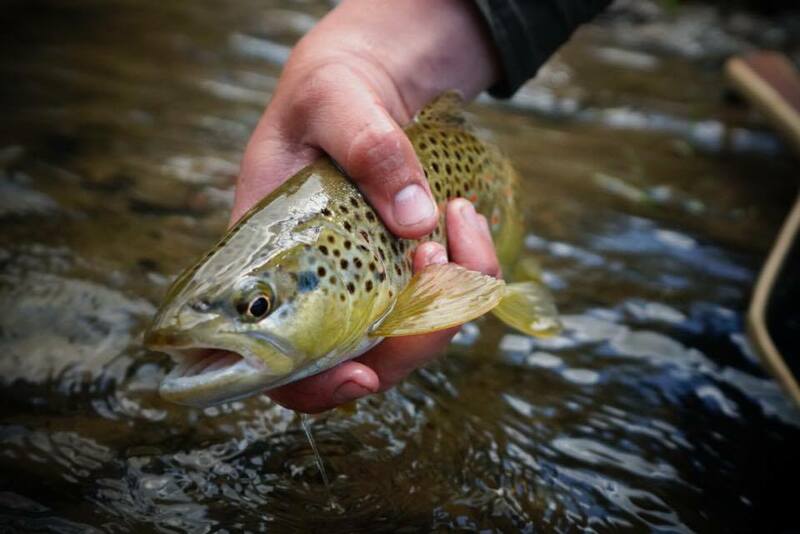 We fished 2 of our favourite stretches of the Oldman, and were treated to great fishing. There was lots of bugs out, several hatches of Green drakes, Caddis and PMD’s, as well as the odd stonefly still flying around. Luka was able to catch 5 cutties, despite almost catching 7 or 8 more; a few broken lines, hasty sets and missed takes. But overall he had a great day, and I think me and garret now have him hooked for life. As mentioned before, things should continue to stay good. The weather forecast for the next week or so promises more sun, so get out now while the water is still cold. The main variable we are dealing with now is the crowds; with summer comes the masses, and this constant pressure on the fish will make them more selective, and can put the fish off, as was the case on the North Ram. Try to get to your water early, to make sure you get it first. And when you do run into other anglers, be respectful and give each other space. And when passing, don’t do the sneak around. It’s much better if you can have a chat with your fellow anglers and let em know what you’ve fished and what you haven’t, and let em know where you’re heading. It takes away the guessing and gives much better peace of mind. The bug of choice continues to be the Green Drake. These are now hatching in abundance and will consistently give results. Others to use include Caddisflies, PMD’s, Adams, Light Cahill and also Brown Drakes. Nymphing continues to be a good option if dry flies aren’t working to well. 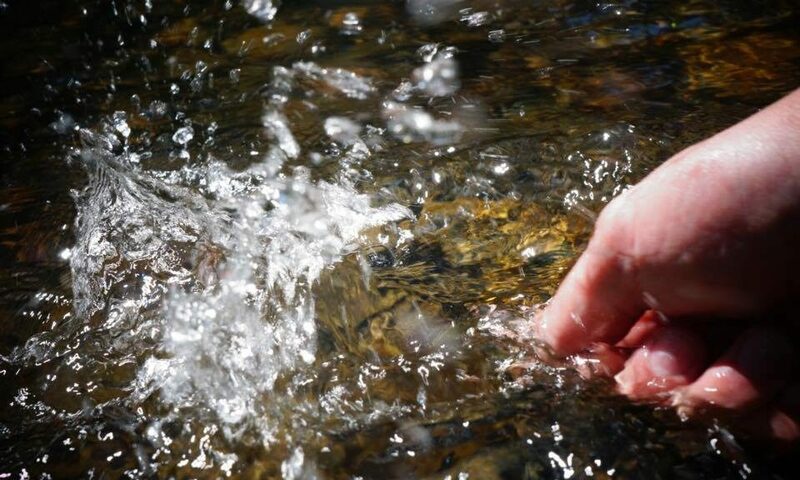 If things begin to heat up significantly and the water begins to heat up, limit your fishing to the early mornings and late evenings- for both your own results, and for the best interests of the fish. Well, I think I’ve talked enough; time once again to go fishing. I will be heading back to Cuttyville tomorrow, looking for a cure to my dry fly fever. Check back in in a few days. As always, please do not hesitate to contact me, via the blog, instagram or facebook. 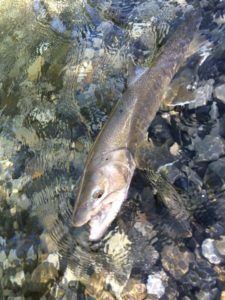 I love to talk fishing, and any questions about these or other waters are welcome! !